What I know about it is that it is Paiste, made in Switzerland (and therefor made after 1958), 15" and probably made before 1975. People on other forums have guessed that it is probably made during the 60's, but no-one can say what model it is... So, what do you guys think? Would be extremely grateful for any help! 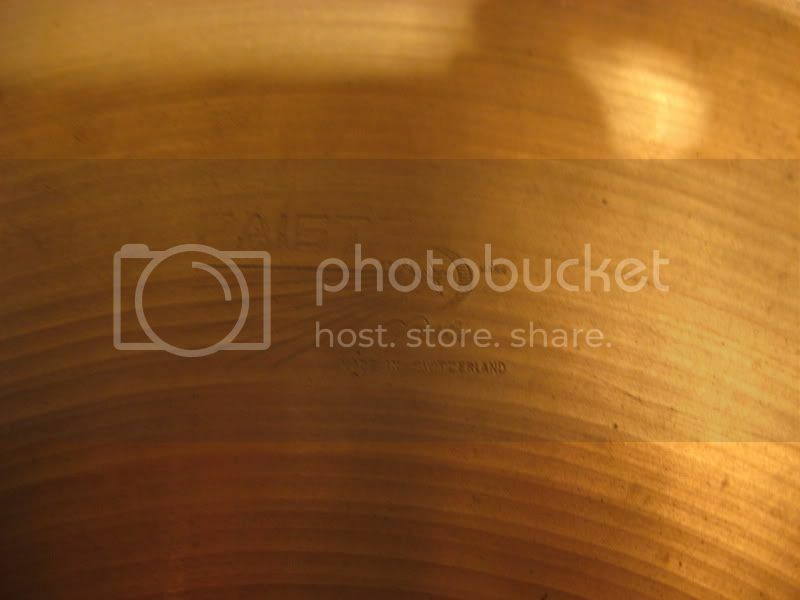 Re: Paiste hi-hat, model unknown. Hi there. 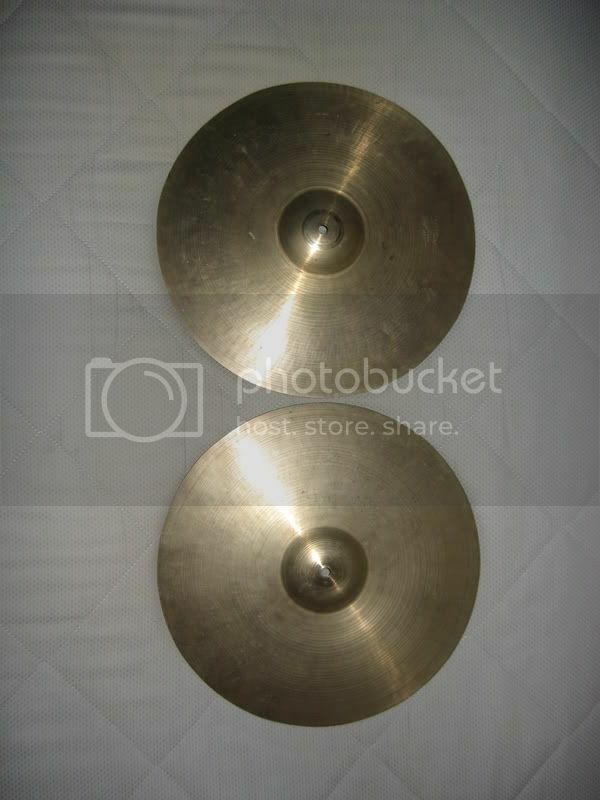 Very nice cymbals. They are Paiste Giant Beat hi-hats. They are the first issue Giant Beats made somewhere between 1967 and 1971. 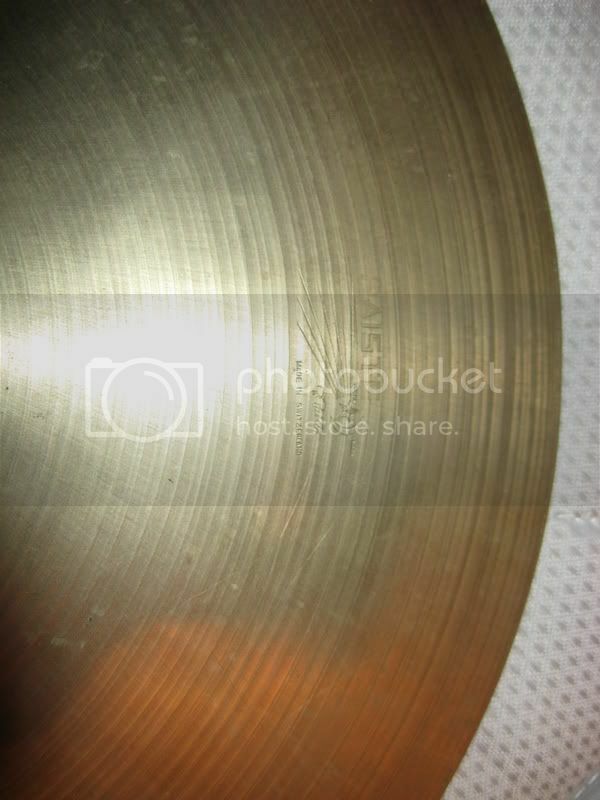 These cymbals were only available in 14" or 15" hats, and 18", 20" and 24" multi-function (crash/ride) cymbals. The most famous user and endorser was the late great John Henry Bonham. He used 15" hats just like yours. 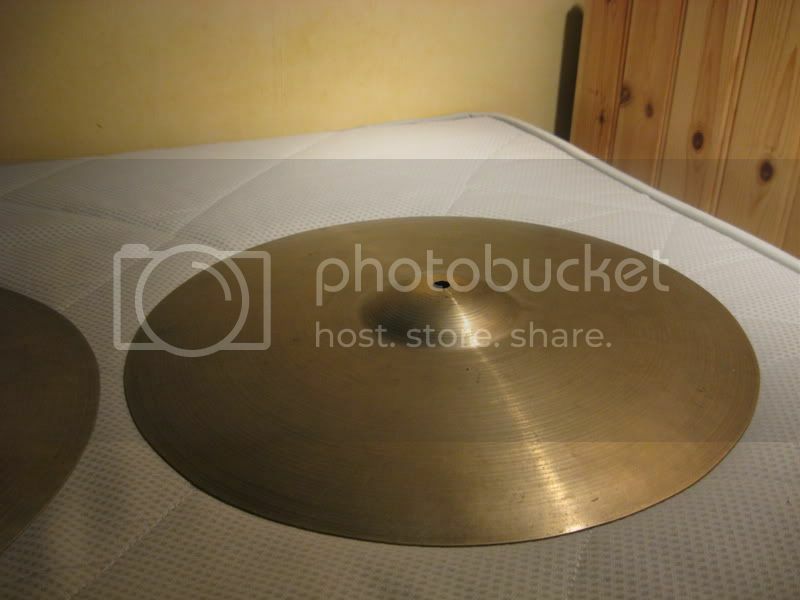 You have some very valuable cymbals there. You did a nice job getting those stamps to come out in your pictures. That is a tricky thing.